The Asian School is a privately owned secular co-educational institution officially opened on the 11th of May 1983 with the approval of the Ministry of Education, Kingdom of Bahrain. The institution was upgraded to the Secondary level in July 1992 and Senior Secondary level in December 2016. At present the school runs classes up to Grade 12 and has a strength of around 4700 students in classes starting from LKG to Grade 12. The school is located in a sprawling 10.75 acre campus at Tubli. The school building has a built up area of 16,000 sqm. with 133 classrooms. The school is also home to the 2000 sqm. multi-purpose Dr. Abdul Kalam Memorial Auditorium, one of the biggest in the Kingdom of Bahrain. The school also has a regulation size football ground and a basketball and tennis court built to international standards. The school has sent more than 20 batches of students to the All India Secondary School Certificate Examination conducted by the CBSE and all the batches have graduated with excellent results. The school logo has a lamp positioned above an open book. The lighted lamp is symbolic of illumination and dispelling darkness. The book symbolizes knowledge which is the source of enrichment for the mind. The school is a fount of knowledge that provides learning coupled with enlightenment thus expelling the darkness of ignorance. The light promises moral, social and economic well-being. The emblem reflects our endless pursuit of knowledge, and the creation and dissemination of it. The Asian School works in solidarity with parents, students and the community to provide a safe, nurturing and inspiring learning environment with meaningful learning experiences that meet the highest educational and ethical standards in order to empower every child to become a life-long learner and a responsible, productive, and engaged citizen of the world. But now lead Thou me on! And, spite of fears, pride ruled my will. Today, in a world where society is increasingly fragmented and polarized, The Asian School remains a community where honesty and integrity matter, humour and hard work are equally important values, and where the process of education is as important as the grade of achievement. We provide a unique educational experience for children from kindergarten to high-school by devoting all of our efforts to our strong mission, philosophy, and culture on a daily basis. As you will realize from going through this website, our goal is to provide our diverse student body with exceptional education, instilling in young people a love of learning, the ability to think independently, and the confidence to pursue their dreams and goals. Our students, as twenty first century learners, are constantly encouraged to become good global citizens with a strong commitment to their fellow beings as well as their environment. Central to our efforts to build a dynamic community is our dedicated faculty. Intensely devoted to the success of their students, our faculty strives to embrace different roles such as those of teachers, coaches, advisors, mentors and friends. In each aspect of school life, they endeavour to challenge and inspire students to reach new levels of enquiry and understanding. As you look through the following pages, it is easy to envision your child in this environment, where we emphasize the important qualities of integrity, honesty, creativity, imagination, perseverance, respect, and self-discipline. Plato said, “The direction in which education starts a man will determine his future in life.” It is a matter of great pride for me that The Asian School students are empowered to connect with their environment, to appreciate their heritage, to transform themselves, and ultimately, the world. 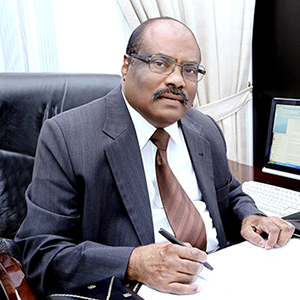 Mr. Joseph Thomas M.A., B.Ed. With great pride, I invite one and all to surf The Asian School website set up so that you obtain a gainful insight into the goings on at the school. The value based structure and organized education aims at developing a sound character in the student with a keen sense of fairness, caring and integrity. What more? A complement of highly qualified and experienced staff strives to enhance the learning environment. Children do not care how much you know until they know how much you care. The best possible learning environment is provided to them. Every activity aims at drawing out the best in the child. The plethora of activities laid out to mould students to perfection will speak volumes for our effort. On the playgrounds of The Asian School where all forms of sports activities take place, children learn to accept defeat and celebrate victory. Sportsmanship develops tolerance and co-operation to live harmoniously as a citizen. Thus we empower all students to succeed in their world. Come browse through our website for a clear understanding of life at The Asian School. Mr. Joseph Thomas belongs to Kerala, India. He did his schooling in the village of Marangatupilly and then graduated with Bachelors in Arts from St. Thomas College in Pala, Kerala. He went on to do his Masters in Arts from Indore University, Madhya Pradesh. He did his Bachelors in Education from Gorakhpur University in Uttar Pradesh. He began his career in education in 1970 when he joined as a Kindergarten teacher at Holy Cross School in Dimapur, Nagaland and then later worked as a Headmaster at the Government Middle School in Pimla, Nagaland. He subsequently joined as a lecturer of English at St. Thomas College in Benaras, Uttar Pradesh. In 1982 he left Benaras and came to Bahrain. His ambition was always to start a school of his own where his vision in the field of education could be put into practice. When he arrived in Bahrain, he saw potential for this dream to materialize and founded The Asian School on May 11, 1983 and has been running the school since inception in the capacity of Principal and Director until July 2009, when he moved to a purely management role. Mr. Thomas is a dynamic personality who is a born educator and teaching was always his calling. He has relentlessly striven through every adverse moment of his life for the cause of education. He is the guiding force behind the institution. He believes in hard work, sincerity, dedication and perseverance and this has stood him in good stead and helped him achieve success in his life. Mrs. Elizabeth Joseph hails from the state of Kerala, India. She completed both her schooling and her graduation from Kottayam, Kerala with Bachelors in Arts from BCM College. She proceeded to do her Bachelors in Education from Gorakhpur University in Uttar Pradesh. Her teaching and administrative career spanning over 40 years began as a Nursery Teacher in Kottayam. She had over 6 years of teaching experience in St. Thomas School in Benaras, Uttar Pradesh before moving to Bahrain in 1983. 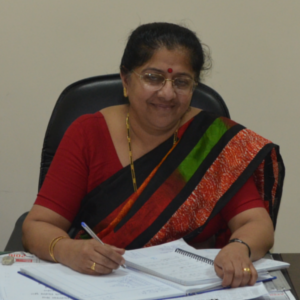 She has served as Vice-Principal of the school from inception till July 2009, then as Principal till November 2012. She later moved in to the role of Director. Her vast experience has helped her to discern closely the constantly evolving needs of schools and varied demands of a changing world that affect the development of a child. She sees tremendous potential and ambience for nurturing the individual needs of each student. It is her goal to pursue global standards that nurture holistic individuals through a student centric environment. Mrs Molly Treasa Mammen hailing from and educated in Mumbai, graduated from the University of Bombay. She has majored both in English and in Education. Mrs. Mammen, with her penchant for the teaching profession, coupled with her endearing approach towards children holds vast experience in the field of education. Thus she has been advantageously positioned to render justice to her roles as Teacher, Head Teacher, Vice Principal and subsequently Principal. Her eventful journey in the teaching profession saw her as Headmistress at St. Lawrence School, Mumbai from June 1987 to May 1991. She joined The Asian School in 1992. With belief in the uniqueness of every child, Mrs. Mammen is committed to engaging students in effective learning through positive research based instructional techniques. Furthermore, she strives to promote moral values, respect for culture, international consciousness and personal enhancement. Mr. Maria Thadeus Waltin completed his Masters in Commerce from Loyola College, Chennai, majoring in Commerce and Accountancy in 1994. He completed his Bachelors in Education from the Teacher Education Center, Thiruvanthapuram, Kerala. 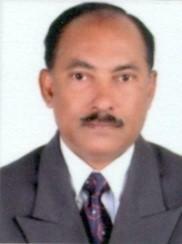 He joined Garden City University, Bangalore in August, 1994, as a Lecturer in Management Studies and Accountancy. Later, he worked as a Senior PGT (Commerce and Accountancy) in St. Joseph’s Higher Secondary School, Thiruvananthapuram, Kerala from 1998 to 2004. 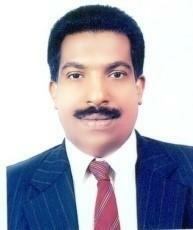 He then took up a role of Senior PGT (Accountancy and Commerce) in the Indian School, Bahrain, in March, 2004. He was promoted to Academic Coordinator in 2010 and went on to serve as Vice Principal there for a period of five years. 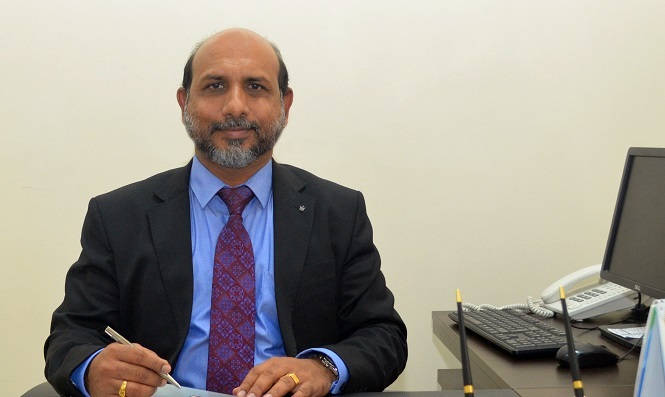 He returned to India and resumed his role as a Senior PGT in St. Joseph’s Higher Secondary School, Thiruvananthapuram, Kerala in 2015 and continued there till February, 2019 when he was appointed as the Vice Principal (Senior Section) in The Asian School, Kingdom of Bahrain. Mr. Waltin believes in the concept of ‘inclusive approach and exclusive methods’ in order to nurture young minds into constructive thinking, thus creating global citizens. Mrs. Elizabeth Sadan was born and raised in the metro city of Mumbai. She did her schooling in Mumbai and Nagpur and graduated from Osmania University in Hyderabad. Her interest in the teaching profession compelled her to do her Teachers Training Course in Nursery Education from Nirmala Niketan in Mumbai and she later went on to do B.Ed. from Magadha University in Patna. 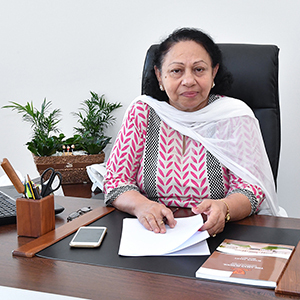 She began her teaching career in 1983 as a Primary Teacher in WEES English High School, Mumbai where she continued till 1989, when she relocated to Bahrain and joined The Asian School in the same year as a teacher. In 1994 she was promoted to the role of Academic Supervisor and in 2000 as Head Teacher. She has been Vice Principal of the Junior Section from the year 2012. As an educator, her goal is to find the hidden treasure of ability in every child and help them to be the best versions of themselves. Ms. AJITHA KRISHNAKUMAR NAIR M.A., B.Ed. Ms. AMBILI ABEY GEORGE M.A., B.Ed. Ms. ANUBHA KUMARI B.Sc., B.Ed. Mr. ARUNPRASAD POTTYKKALLIL SASIDHARAN B.P.Ed., B.A. Ms. ATHIRA OMANAAMMA SUNDARESAN NAIR M.Sc., B.Ed. Ms. BEENA ODATHIL M.A., B.Ed. Ms. BITHA VADAKATH VINOD B.Sc., B.Ed. Ms. CHAMUNDESWARI UDAY SHANBHAG M.Sc., B.Ed. Ms. DHANA LAXMI VELPULA MCA, B.Sc., B.Ed. Ms. DORA BLACID B.Sc., B.Ed. Ms. GOPI AMBIKA KUNDOOR PISHARATH M.Sc., B.Ed. Ms. GRACYKUTTY THOMAS M.A., B.Ed. Ms. HARSHA YOGESH KHADKE M.Sc., B.Ed. Ms. JOYS REJINOLD B.A., B.Ed. Ms. JYOTI JAYSEN DAWARE M.Sc., M.Ed. 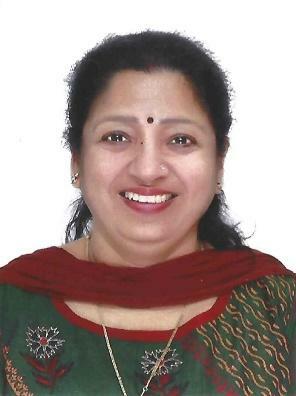 Ms. MANJU BIJUKUMAR M.A., B.Sc., B.Ed. Ms. MARY JASMINE DCOTHO B.Sc., B.Ed. Ms. MEGHA PRAMOD KUMAR M.Sc., B.Ed. Ms. MONA ABDULJALIL ISA EID KADHEM B.A. Ms. NASEERA SHAMSEER B.A., B.Ed. Ms. NISHA BIJU M.Sc., B.Ed. Ms. PIYALI ROY B.Sc., B.Ed. Ms. PRAFULLA SATHEESHAN M.A., B.Ed. 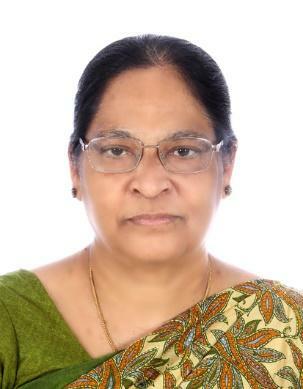 Ms. RAJANI RAJAN VARMA B.Sc., B.Ed. Ms. REENA PAYANIKULATHIL M.A., B.Ed. Ms. REMYA SANDHEEP B.A., B.Ed. 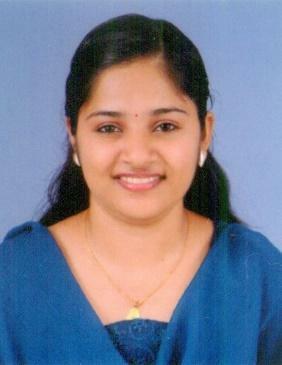 Ms. RESMI PATHYIL CHANDRAN B.Sc., B.Ed. Ms. RUBI JOHN M.Sc., B.Ed. Ms. SAI SUMANA MANDALAKKOTTIL PORUTHAKKAVIL M.Sc., B.Ed. Ms. SANDHYA SATHISH KUMAR M.Sc., B.Ed. Ms. SANTHI SIVARAMAKRISHNAN B.Sc., B.Ed. Ms. SHALINI SHARMA B.Sc., B.Ed. Ms. SHEEBA CHIRAKKAL M.A., B.Ed. Ms. SHWETA NARESH PRABHUDESSAI M.A., B.Ed. Ms. SIMI JACOB B.A., M.P.Ed. Ms. SUCHITHRA ARAVINDAKSHAN M.A., B.Ed. Ms. SUMAN MOHAN B.Sc., B.Ed. Ms. SUMITHA RAHUL M.Sc., B.Ed. Ms. SUNITA WADHAWAN M.A., B.Ed. Ms. SUSMI SIJO M.A., B.Ed. Ms. VEERA FERNANDES B.A., B.Ed. Ms. VIBITHA JAYESH M.A., B.Ed. Ms. ZAINAB ABDULLA ALI HABIB B.A. Ms. ADITI DEY MUKHERJEE M.A., B.Ed. Ms. AMANDEEP KAUR B.A., B.Ed. 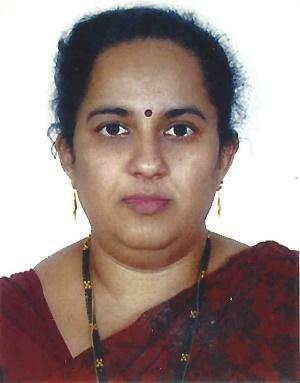 Ms. ANJU SOMARAJAN M.A., B.Ed. Ms. ANUSHARANI KAMALASAN M.Sc., B.Ed. Ms. ASHA SHIBU M.Sc., B.Ed. Ms. ASHA SOORAJ M.Sc., B.Ed. Ms. ASHA SUNIL KUMAR B.Sc., B.Ed. Ms. ATHIRA SARAT KRISHNAN B.Sc., B.Ed. 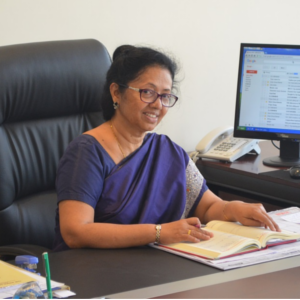 Ms. BIJIDHA RANI NOORUDEEN KUNJU B.Sc., B.Ed. Ms. BUSHRA MOHAMED ABDULKARIM HUSAIN FARDAN B.P.Ed. 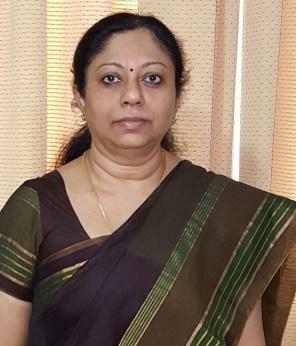 Ms. DAKSHYAINI SADASHIVANI M.A., B.Ed. Ms. DHANYA LINTO B.A., B.Ed. Ms. GEETA MAHESH RUSTUMPURE B.A., B.Ed. 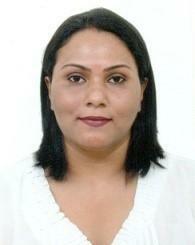 Ms. HANAN MOHAMED KHALIL EBRAHIM SALMAN B.P.Ed. Ms. HASEENA MUHAMMED FAVAZ B.A., B.Ed. Ms. JANAT HASAN MOHAMED HASAN ABDULKHUDER B.P.Ed. Ms. JEETA NAIR B.A., B.Ed. Ms. JIMNA YATHEENDRAN M.A., B.Ed. 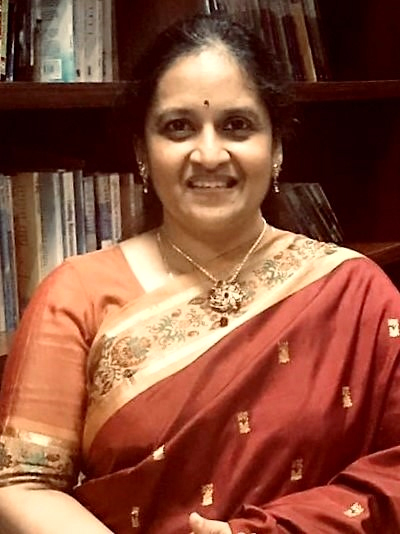 Ms. KADEEJA PUTHIYA NALAKATH MALIYEKKAL M.A., B.Ed. 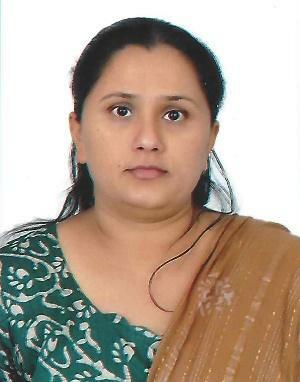 Ms. KAVITA CHOUDHARY B.A., B.Ed. Ms. LIGI FRANKLYN B.A., B.Ed. Ms. LIJI MARIAMMA MATHEW B.A., B.Ed. Ms. LOURDES DIAGO FERNANDES M.A., B.Ed. Ms. NANDITHA NANDAN MENON M.Sc., B.Ed. Ms. NIJITHRA DINESH M.A., B.Ed. Ms. NISANA NAZAR B.Sc., B.Ed. Ms. OMANA RENJI MATHEWS B.Sc., B.Ed. Ms. PERCISSMITHA ROBERT PEARSON M.Sc., B.Ed. Ms. POONAM KUMARI B.A., B.Ed. Ms. PREETHA MANIKANDAN NAIR SUSEELA B.Sc., B.Ed. 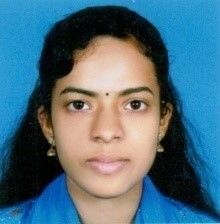 Ms. PREETHI KOILPARAMBIL RASMINOL B.Sc., B.Ed. Ms. PREETHY THOMAS B.Sc., B.Ed. Ms. PUSHPALATHA VIJAYABALAN B.Sc., B.Ed. 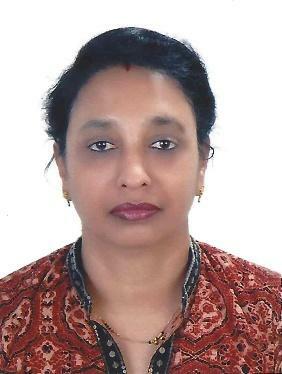 Ms. RADHIKA RAJ M.A., B.Ed. Ms. RADHIKHA JAYASANKAR M.Sc., M.Phil., B.Ed. Ms. RAJESWARI NEETTIYATH B.A., B.Ed. Ms. REJILA ROSE JOHN BRITTO MCA, M.Phil., B.Sc., B.Ed. Ms. REJITHAMOLE NALLAVEETTIL RAMAKRISHNA PILLAI B.Sc., B.Ed. Ms. REMYA VALIYACHEERATH RAMAKRISHNAN M.A., B.Ed. Ms. RESMI RAJEEV KUMAR B.A., B.Ed. Ms. REVATHY SUNIL LAL B.A., B.Ed. Ms. ROSEMOLE THAZHATH NIXON M.A., B.Ed. Ms. SAJNA PRAJEESH M.A., B.Ed. 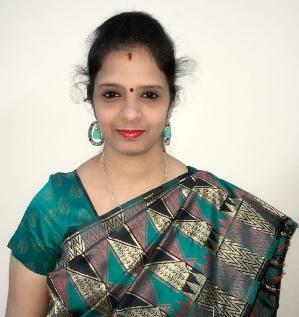 Ms. SANGEETA VENKATRAMAN B.Com., B.Ed. Ms. SARITHA NAKKIDAPU B.Sc., B.Ed. Ms. SARITHA SADASIVAN B.Com., B.Ed. 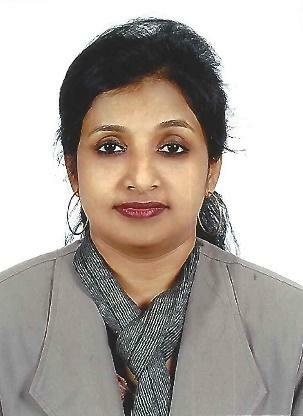 Ms. SHEEJA NAIR UNNIKRISHNAN B.Com., B.Ed. Ms. SHINI PLAVELIL GEORGE M.A., B.Ed. Ms. SHINY ALOYSIUS ALOYSIUS M.Sc., B.Ed. Ms. SIREESHA GAJULA M.Sc., B.Ed. Ms. SMITHA KRISHNA KUMAR B.A., B.Ed. 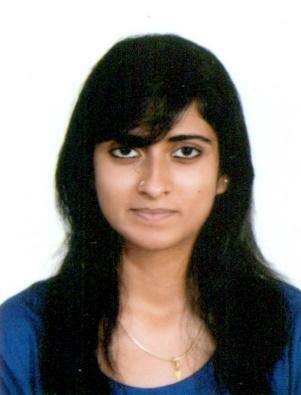 Ms. SOUMYA SUBRAMANIAN B.Sc., B.Ed. Ms. SUMI OMAL KUMAR B.Sc., B.Ed. Ms. SUSHMITHA DINAKARA SHETTY KRISHNANJALI B.A., B.Ed. Ms. SWAPNA JOHN B.Sc., B.Ed. Ms. SYEDA HUMAIRA FARHEN B.Sc., B.Ed. Ms. TESMY THOMAS B.Sc., B.Ed. Ms. THUSHARA MINTO B.Sc., B.Ed. Ms. TRIPTI BHANDARI M.Sc., B.Ed. Ms. VANIPRIYA NEDUMARAN B.Sc., B.Ed. Ms. VIDHYA PALAKKAL M.A., B.Ed. Ms. VIDHYA RADHAMANI B.Sc., B.Ed. Ms. VIDHYA USHADEVI M.Sc., B.Ed. Ms. VRINDA MANOJ NAIR B.Sc., B.Ed. Ms. ZAINAB MOHAMED ALI JASIM ALI SANAD B.A. Ms. JENITHA MARY JOHN BOSCO B.Sc., B.Ed. Ms. REVATHI MOHANVEL B.Sc., B.Ed. The school is located in a sprawling 10.75 acre campus at Tubli. The school building has a built up area of 16,000sqm. with 133 classrooms. The school is also home to the 2000 sqm. multi-purpose Dr. Abdul Kalam Memorial Auditorium, one of the biggest in the Kingdom of Bahrain. The school also has a regulation size football ground and a basketball and tennis court built to international standards. Mr. Joseph Thomas belongs to Kerala, India. He did his schooling in the village of Marangatupilly and then graduated with Bachelors in Arts from St. Thomas College in Pala, Kerala. He went on to do his Masters in Arts from Indore University, Madhya Pradesh. He did his Bachelors in Education from Gorakhpur University in Uttar Pradesh.He began his career in education in 1970 when he joined as a Kindergarten teacher at Holy Cross School in Dimapur, Nagaland and then later worked as a Headmaster at the Government Middle School in Pimla, Nagaland. He subsequently joined as a lecturer of English at St. Thomas College in Benaras, Uttar Pradesh. In 1982 he left Benaras and came to Bahrain. His ambition was always to start a school of his own where his vision in the field of education could be put into practice. When he arrived in Bahrain, he saw potential for this dream to materialize and founded The Asian School on May 11, 1983 and has been running the school since inception in the capacity of Principal and Director until July 2009, when he moved to a purely management role. Mrs. Elizabeth Joseph hails from the state of Kerala, India. She completed both her schooling and her graduation from Kottayam, Kerala with Bachelors in Arts from BCM College. She proceeded to do her Bachelors in Education from Gorakhpur University in Uttar Pradesh.Her teaching and administrative career spanning over 40 years began as a Nursery Teacher in Kottayam. She had over 6 years of teaching experience in St. Thomas School in Benaras, Uttar Pradesh before moving to Bahrain in 1983. She has served as Vice-Principal of the school from inception till July 2009, then as Principal till November 2012. She later moved in to the role of Director. Mrs Molly Treasa Mammen hailing from and educated in Mumbai, graduated from the University of Bombay. She has majored both in English and in Education.Mrs. Mammen, with her penchant for the teaching profession, coupled with her endearing approach towards children holds vast experience in the field of education. Thus she has been advantageously positioned to render justice to her roles as Teacher, Head Teacher, Vice Principal and subsequently Principal. Her eventful journey in the teaching profession saw her as Headmistress at St. Lawrence School, Mumbai from June 1987 to May 1991. She joined The Asian School in 1992. If you wish to be a part of the Asian School family, please send us an email with your latest resume to careers@asianschool.bh. Please mention your subject taught in the subject of the email.